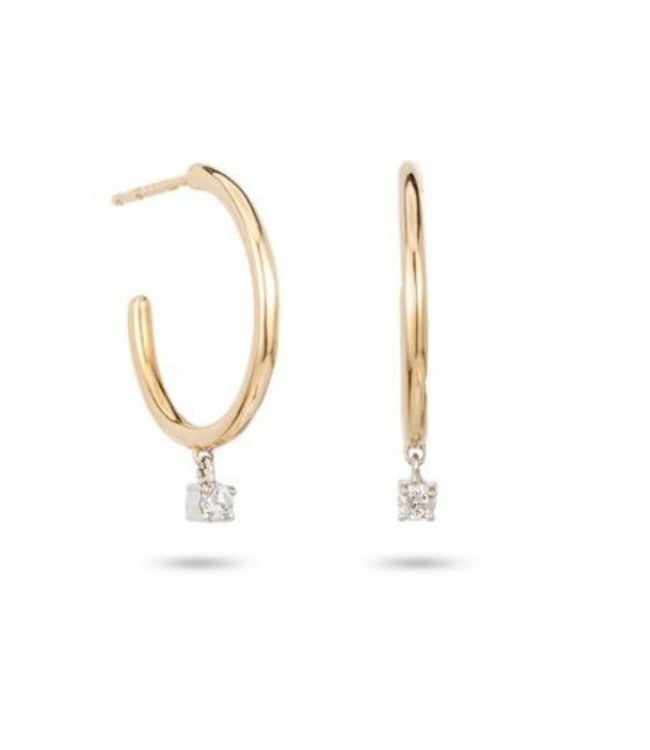 14k yellow gold hoop with sterling silver diamond charm. Hoop measures 10mm. Diamond Carat Weight: 0.07 Ct.